Getting a rave review is always nice but what we really love is providing the most relaxing, therapeutic and transformative spa experience and brightening the lives of our clients. Thanks so much Alison for your lovely review! Can’t wait to see you again for your next spa day! Massage isn’t just for pampering and relaxation. The benefits of therapeutic massage can be real pain relief from a variety of conditions or injuries. Thanks Eli for the awesome review! So glad you’re feeling better after your session with Nikki today! 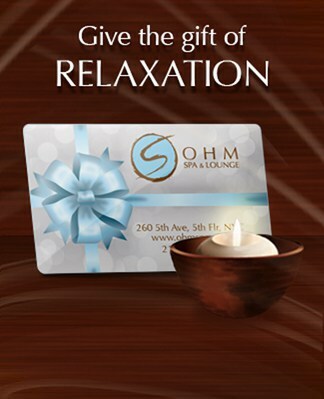 Just left Ohm Spa. My TMJ was acting up and my upper back, neck and jaw area were extremely tight. Nikki was my masseuse and she did an awesome job focusing on the areas i mentioned and I walked out a different person. The place was much nicer than i expected for a spa on the 5th floor of an office building. I would definitely head back and recommend.